The International Student Center (ISC) provides services for international students who are studying or would like to study on the F-1 and F-2 visa. 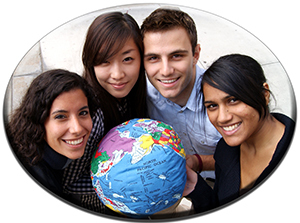 We enroll approximately 300 students who come from over 40 different countries. International students at Fullerton College enjoy their own on-campus center and a full-time staff dedicated to their academic success and personal needs. While providing F-1/F-2 visa advising, academic counseling, support services, and student activities, the ISC offers insight to students on how to succeed, adjust, and make the most of the their time in southern California. The goal of the program is to provide educational opportunities for international students and to promote cross cultural experiences on campus and within the local community. The Fall 2019 application is now open.